Japan shut down virtually all nuclear power plants after the March 11, 2011 earthquake, tsunami and nuclear power plant accident. What has been the greenhouse gas impact of this decision? Have people merely consumed less power, or have other forms of electricity generation increased as a result? If the latter, have they been forms of electricity that have been more greenhouse gas intensive, or less greenhouse gas intensive, than nuclear power? For the sake of simplicity, I'm asking only about Japan's decision, not about other countries that are phasing out nuclear post-Fukushima. 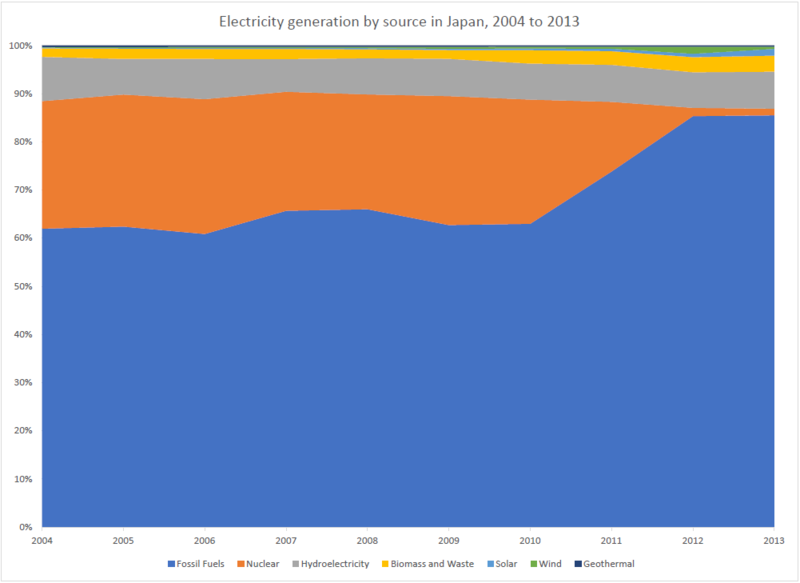 Prior to the incident, fossil fuels accounted for about 63% of generation, and nuclear was about 26%. After, these numbers shift to 86% and 1%. That means that 23% of the total annual production moved from nuclear to fossil fuel. 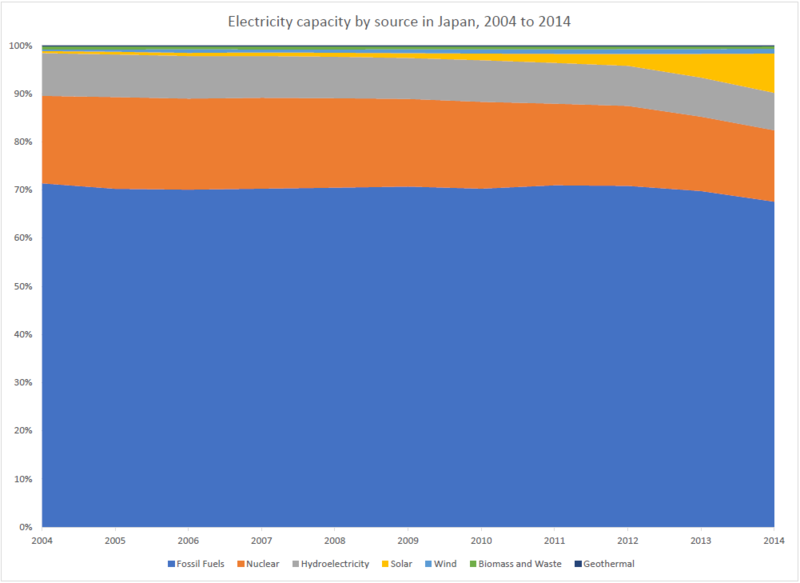 If for simplicity's sake we assume the annual consumption of Japan is 1 trillion kWh, this means that about 230 billion kWh's worth of fossil fuels were burned to produce electricity, that would not have been used if the Fukushima incident had not occurred. Note this data comes from "Annual primary fuel consumption," and thus includes more than just what is used for electricity production - some of the natural gas is likely used for heating, and some of the coal for steel production. However this shouldn't matter too much as we're most interested in the increase in consumption. Not the answer you're looking for? Browse other questions tagged electricity-generation greenhouse-gas-emissions or ask your own question.